"Native New Yorker Joe Tartaglia is an enthusiastic straight-shooter who excels in getting the job done, efficiently and correctly. 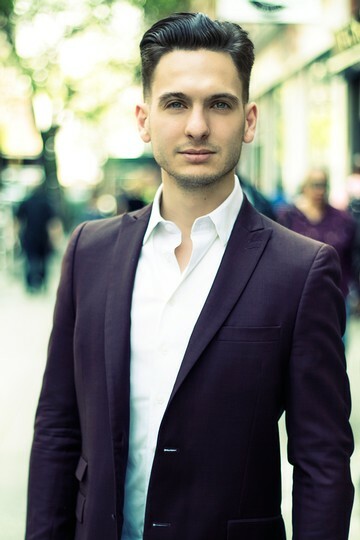 As he likes to say ""with Joe you're ready to go""
Specializing in assisting clients in the fast-paced New York City rental market, Joe truly believes that by treating people well and doing the work, everything else will fall into place. He's utterly responsive to his client's needs and can always be counted on to treat them with kindness, respect and total integrity. Joe resides in Sunset Park, Brooklyn, which he loves for its authenticity and real neighborhood vibe. When not hard at work helping New Yorkers find their perfect homes, he is an active comedian through Stand-up and improv. As a devoted people person, he absolutely adores travel and meeting people around the world. He also loves pizza, ice cream and cookies, in that order." 1 BR at CLINTON ST.